In today’s world your success is dependent upon your ability to stand out from the crowd. We have people screaming for attention everywhere. If you are new in a profession or just realized that you still aren’t considered the expert, it’s time to make that change. Becoming the expert is not about being smarter or more skilled than the other people. It is about being the one who is known for your expertise. This scares a lot of people from even trying. The word expert is held in such a high status that we feel it would take years, and milestones of accomplishments to be able to garnish this title. This is not true. 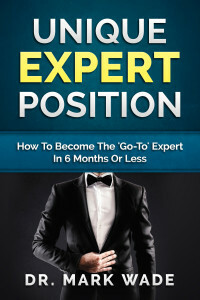 Expert is a term to signify that you are the one most well known in their niche. It states that your community sees you as a knowledgeable professional in your area of specialty. Being the expert does not signify that you know everything nor that you are better than everyone. It means that you are at a level that brings about trust and credibility. Although it is not a complicated process to become an expert many professionals never achieve that status. The main reason is lack of know how. They don’t realize there is a process to becoming the expert. Many commonly make the major error of assuming being an expert means you have to show expertise in many different areas. That one wrong step destines many to never achieving the Expert Status. There are people every day creating them selves as the expert by following a rather simple series of steps. These steps can be reproduced by anyone in any profession, field, or activity. In this module you will learn the most important step on your journey to becoming the expert. Learn the number one reason for failure, and then create your strategy for success. You will then take the initial steps towards positioning yourself for success with expert status. 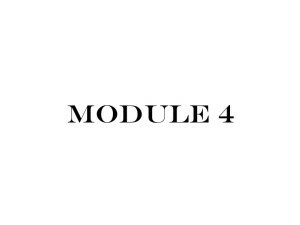 In this module you will bring your skill and knowledge to the level of expert. You will begin to share that knowledge bringing your position to expert status. You will insert your work from the previous courses into these steps to bring yourself success. Now that you have done the preparation and action it is time to become the expert. Take the action steps to put yourself in the position of expert, and provide your followers and potential followers with the evidence they want demonstrating your expertise. Getting to the position of go to expert is not the end point. You must now use that status to build your empire, expand your reach and help to change the world. It is time to capitalize on your expert status. This course is open to all health professionals containing a Doctorate level degree, or a Masters level degree-certification in a specific health specialty. 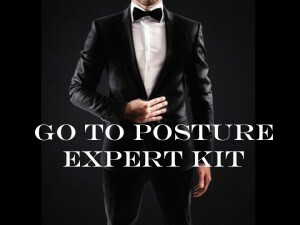 This course can be taken independent of the Certified Posture Expert program, although with all courses it is highly recommended the Certified Posture Expert program be completed. Gain a 25% discount when you purchase all 3 of the courses in the Go To Expert KIT. These 3 courses give you everything you will need to understand and utilize social media to your advantage. Then Master social media with the expert tools and resources from website, blogging, creating different pieces of content, to mastering opt in opportunities while creating a loyal following. The third course gives you the step by step guide to quickly become the sought after Go To expert in your community and then how to capitalize on that expertise! The normal price for all three courses if purchased individually would be $1,200. Save $300 when purchasing them as a KIT.